These are still around at most arcades, including Adventureland on LI and CoCo Key in Waterbury, CT.
Skee-Ball was popular in Times Square and up in Bolton Landing at Lake George NY as well as down on the Jersey Shore. It was really fun. 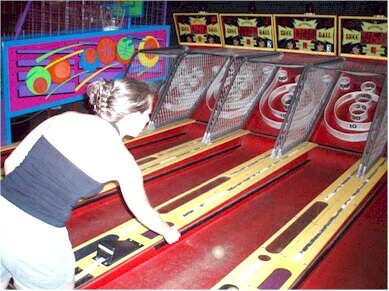 I Loved going to the Sea Shore and going into the Arcade and playing Skee Ball when I was young.